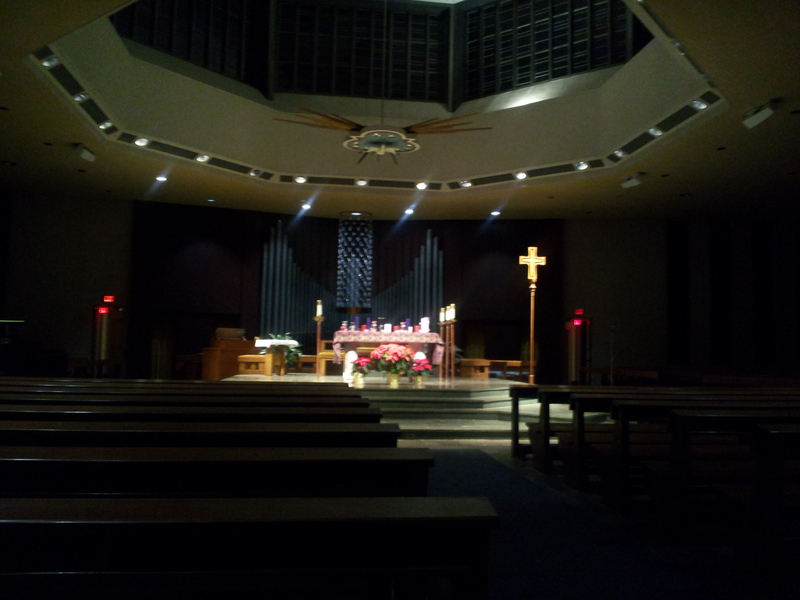 I decided to head to church last night at the chapel of a local college as a way to cap off my evening. I used to do this in college quite a bit – 10 PM Mass on a Sunday evening was my favorite time to go. Everything was just a little bit more quiet and peaceful. There was just enough soft lighting to add to the effect of seeking to be at peace and clear my head before starting a new week. I got a little of that effect last night. But it was also a bit different because… well… apparently they weren’t having 7 PM Mass last night. I was there with a few other confused souls who waited patiently for some sign of services beginning, but it was not to be. So I decided to wait out everyone else and have the place to myself. I kneeled quietly praying, collecting my thoughts, reflecting on the week that was and the week that would be. After 15 minutes… just me. Now, anyone who knows me would know that I tend to view my own religious/spiritual beliefs in an intensely personal fashion. I don’t push my views on anyone else, ever. To each their own as to how they choose to follow (or not follow) a faith. So it’s not something I chat with people about… at least not terribly often. And I don’t plan on getting into it too much here. Instead, I would rather focus on how incredibly refreshing it is to be completely alone in the utter quiet of a peaceful place. It was amazing. No other word does what I felt justice. The world is a place with a flood of stimuli vying for our attention. It can be utterly overwhelming, except I think most of us have instead become numb to it all as a means of coping. But think about how often you check to see if someone responded to you on Twitter or Facebook. Or the need to continuously look at your phone for every new e-mail and text message. Or how we always need to be doing SOMETHING. It’s as if we are afraid to be alone with our own thoughts. I’m as guilty of this as anyone. I did take a few steps to adjust notifications on my smartphone so that I wasn’t constantly checking it to see who was reaching out to me and validating my existence… I mean, isn’t that what all of the endless checking ends up being in the end anyway? But I can be bad on this front. So last night was such a welcome respite. I knew I needed it because I didn’t even get restless as I sat there for 45 minutes in silence. 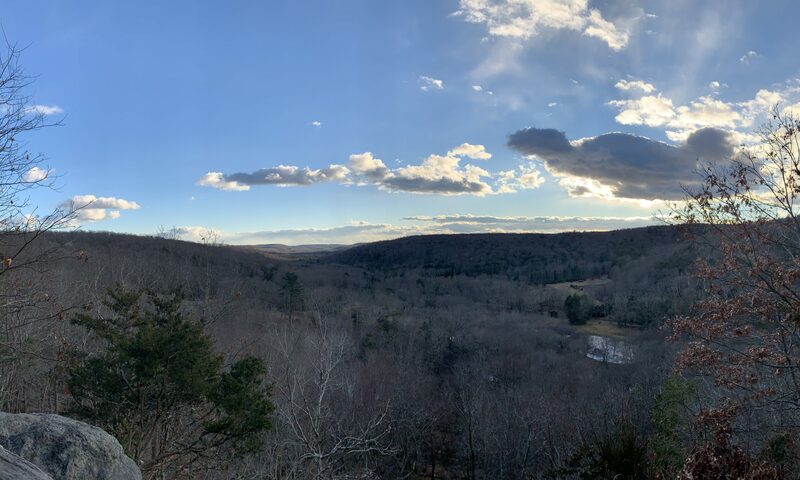 Instead, I actually had a chance to reflect for a while… let my mind work through any knotty issues that had been weighing on it… get my bearings a little bit… and then walk out feeling as good and as relaxed as I have been in a long, long time. Because for 45 minutes… the constant buzz of life melted away and my mind and spirit felt completely unburdened. Stop. Unplug. Reflect. Think. Ponder. Daily. It’s a challenge I accept. “Stop. Unplug. Reflect. Think. Ponder. Daily.” Brilliant. I’m totally using it (with attribution, of course). This is so important – we can only push ourselves to go, go, go for so long before we break down unless we take the time to allow our bodies – and our minds and souls – to recover. Great lesson. Thanks, Jess. That just popped into my head. I sometimes think of things in that sort of way to force myself to simplify. Glad it appealed to you as well!